Over the past 40 years, walking into a health club or gym has left many people feeling overwhelmed and intimidated by the immense variety of exercise machines, each one designed to isolate a single part of the body. In some facilities, it’s not uncommon to see a number of separate machines to “train” the same appendage. The manufacturers of these machines mean well, because human anatomy has traditionally been studied as a collection of individual components, with each one designed to move a specific part of the body. Newly emerging work from two distinct groups of professionals, however, is fundamentally changing the way we think about muscular anatomy. These new findings are related to how the myofascial network—what is traditionally called the muscular system—functions as a wholly integrated system, and they are dramatically changing the approach to designing and delivering exercise programs to personal-training clients. Newly developed technology now allows scientific researchers to observe the function of human tissue at the cellular or micro level. This, combined with the experience of soft-tissue therapists who work with the human form on the macro level, is leading to a new of way of describing human anatomy and muscular function. Scientific researchers have been using advanced technology to understand how human tissue, specifically inter- and intra-muscular connective tissue, functions at the cellular level. Wolff’s law, which states that functional stimulation precedes structural change, was developed in the late 1890s to describe how the structures of the body adapt on the macro level (Siff and Verkoshansky 2009). However, in an emerging field of study known as systems biology or mechano-biology, researchers are finding that on the microscopic level, cells function as individual structures to remodel their architecture in response to applied stresses. 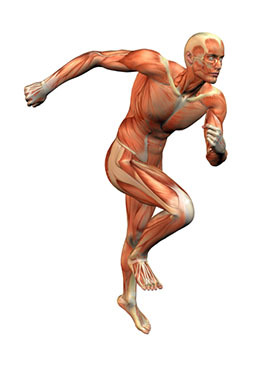 These new findings indicate that the fascial sheaths and connective tissue, which surround and connect all structures in the human body, play a more important role than previously thought in adaptation to the applied demands of exercise (Vogel, 2006; Ingber, 2004, 2003). Meanwhile, on the macro level massage therapists and body workers—professionals who specialize in working with muscle and connective tissue to improve human movement—describe muscular anatomy as an integrated system with specific lines of pull controlling how forces move and dissipate through the entire body (Myers, 2009; Langevin, 2006; Schultz and Feitis, 1996). There are two distinct parts of human skeletal muscle: the contractile element and the visco-elastic non-contractile component (Siff and Verkoshansky, 2009). Additionally, muscular anatomy is commonly described as being organized into prime mover or agonist muscles, which are responsible for producing a movement at a joint, and antagonistic muscles, which work to restrict the joint motion caused by the agonists. For example, during a knee-extension exercise the quadriceps muscles on the front of the thigh are described as the agonists because they create open-chain knee extension, and the hamstring muscles located on the back of the thigh are considered antagonists because in an open-chain environment (i.e., with the foot not on the ground) they work to move the knee into flexion in the opposite direction. While both of these axioms, which have long been taught in the fitness industry as being the only way that muscles work, are are not wrong, they are incomplete. If you are studying human anatomy from a static perspective, with the body lying flat, the concepts of muscles performing only a single type of contraction or working as opposing pairs makes sense. However, during upright movement, the myofascial network has to organize and control forces entering the body, and a single muscle can have some fascicles that are lengthening while other fascicles are shortening (Schleip et al., 2012; Myers, 2011; Ingber, 2003). When considering the agonist-antagonist model of muscle function, it is helpful to refer to Lombard’s paradox, which describes what occurs when muscles on opposite sides of a joint work together synergistically to create motion at that joint (Siff and Verkoshansky, 2009). For example, if both the hamstrings and quadriceps can work together to create knee extension when the foot is planted on the ground, or the gluteus maximus and iliopsoas work together to decelerate hip internal rotation in the transverse plane, then it is time to reconsider the practice of teaching muscle function in terms of agonists and antagonists (Schleip et al., 2012). For many years, exercise science has also focused on describing movement as a function of how the contractile element influences a particular joint. The sliding filament theory of actin-myosin cross-bridging describes how the contractile element of muscle functions to produce movement. As the actin and myosin slide across one another, this shortens the sarcomeres of a particular myofibril; when a number of myofibrils shorten at the same time it causes the distal end of a muscle to move closer to the proximal attachment. As a result it has been thought that the contractile element has the greatest impact on creating human movement. [This approach traces its roots back to the early cadaver dissections to study the human body, which perceived the connective tissue as mere packing material and was immediately removed in an effort to study how the contractile element of skeletal muscle attached to the skeleton (Myers, 2009).] In turn, this approach led to the methodology of training the body as a number of separate individual parts as opposed to one single system, which led to the overwhelming number of machines in the typical health club. It turns out that this approach might be misguided and that the non-contractile connective tissue is more responsible for organizing human movement than originally thought. Merriam-Webster defines a system as “an interdependent group of items forming a unified whole,” or “a group of interacting bodies under the influence of related forces.” The human body is a series of systems interacting with one another to produce and control movement. When a muscle and its involved connective tissue are eccentrically lengthened, it is experiencing a tensile (pulling) force, which allows it to elastically store mechanical energy. When that same bundle of muscle and connective tissue concentrically shortens or compresses, it releases the energy stored during the lengthening phase. Therefore, the myofascial network functions as an integrated mechanical system, balancing competing tensile and compressive forces responsible for storing and releasing mechanical energy. It is easy to see how movements or exercises that isolate a specific muscle group or joint can lead to imbalances, which affect the entire system as a whole. 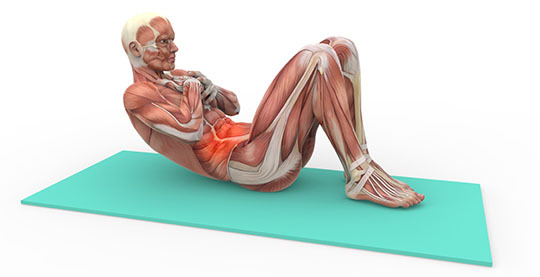 The non-contractile component is comprised primarily of fascia, which is broadly defined as all of the soft, fibrous connective tissue interwoven between all of the cells and organs within the human body (and should be considered an organ in its own right). Recent research suggests that non-contractile connective tissue is the richest sensory organ in the human body, containing up to 10 times as many free nerve endings than the contractile element (Schleip et al., 2012). On the macro level, different bundles of muscles attach to one another via the epimysium, which also becomes the tendon connecting the contractile element to the skeletal structure. 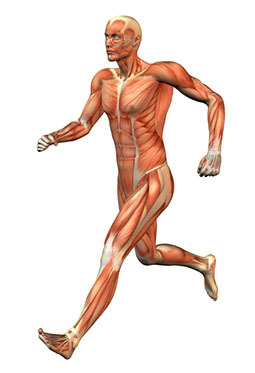 The fascia and connective tissue surrounding an individual muscle is responsible for transferring forces between different sections of neighboring muscle. This system, easily visible on the macro scale, repeats itself on the micro level with the endomysium distributing load between individual muscle fibers by forming a lattice-work that connects every single cell in the human body to one another (Schleip et al., 2012). At both the macro and micro levels, connective tissue is directly responsible for organizing how mechanical forces are distributed throughout the human body (Myers, 2009; Vogel, 2006; Galli et al., 2005; Ingber 2004). Studying the attachment points of the contractile element on a static human cadaver lying in the supine position led these early anatomists to theorize that, if a muscle has two attachment points and crosses a joint, then it must work only to move that joint. However, when the human body is alive, upright and moving, it must account for the competing bottom-up forces of ground reaction and top-down forces from gravity; as a result, the myofascial network becomes the primary system for controlling these forces. Whereas the central nervous system (CNS) sends signals via electrical impulses, the fascia and connective tissue create a system that communicates by transferring forces from one section of the myofascial network to another (Schleip et al., 2012; Myers, 2009; Vogel, 2006; Ingber, 2003). Through mechano-transduction, which is the transmission of mechanical forces through fascia and connective tissue to initiate a biochemical response, it is estimated that mechanical vibrations transiting the myofascial network move three times faster than the signals sent by the CNS (Schleip et al., 2012; Vogel, 2006; Ingber, 2004). On the macro level, mechano-transduction is effective at transferring force from one segment of muscle or connective tissue to another, while on the micro level it initiates chemical reactions that change the structure and biophysical properties of individual cells (Langevin, 2006; Vogel, 2006; Ingber, 2004, 2003). Tendons are bundles of connective tissue attaching muscle to bone; in terms of exercise, the fitness industry commonly considers connective tissue as a passive structure that is uninvolved in actual force production. This is another generalization that requires a closer look, because mechanical stiffness is regulated across the entire myofascial network. When an external force is applied to the myofascial network, the myofibrils and fascicles of the contractile element can shorten and create tension, while the surrounding viscoelastic, non-contractile component lengthens (Myers, 2011; Siff and Verkhoshansky, 2009). During explosive movements, the contractile elements of a muscle will remain in an isometric state to increase the tension on the non-contractile components in an effort to produce higher levels of force. The enhanced stiffness from the contractile component can help the connective tissue rapidly store mechanical energy during the lengthening phase. This consequently produces greater power output during the shortening phase. On the macro level, isometric contractions should be considered an action “involved in the initiation and control of all dynamic movement” (Siff and Verkhoshansky, 2009). Isometric tension exists down to the cellular level as well, as any external mechanical load is imposed on this pre-existing force balance (Vogel, 2006; Ingber, 2003). At both levels, the role that the non-contractile component plays in force production must be considered during exercise, and programs should feature some rapid velocity movements to properly facilitate the response from this mechanism. The myofascial network is so efficient with transferring force from one section to another that a muscle does not have to cross a joint to create movement at that joint. 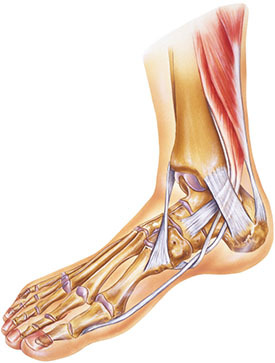 For example, the soleus attaches to the superior section of the posterior tibia and does not cross the knee. As the body is walking forward during gait and the right leg is on the ground during the ground contact phase as the body passes over the right foot, the right soleus limits the tibia-on-talus dorsiflexion, helping the knee move into extension prior to the early heel-off phase (Neumann, 2010; Siff and Verkhoshanksy, 2009). It is important to consider the network of fascia and connective tissue as a single, integrated system responsible for establishing a constant equilibrium of forces. It can be easy to forget that a human being grows from a single cell in the embryonic form and experiences rapid growth via cell division during the gestation period. This is important, because throughout a human being’s lifespan, all cells and bodily tissues remain connected (Myers, 2009; Schultz and Feitis, 1996). Tensegrity, which refers to the combination of tension and integrity, is an architectural term used to describe a structure that is self-supporting through a combination of tensile (lengthening) and compressive (shortening) forces. Given that the myofascial system is a balance of compression and tension, biotensegrity is an effective term to describe how the body has a natural, structural tendency to balance forces (Myers, 2009; Galli et al., 2005; Ingber, 2003). Traditional anatomy teaches that muscles attach to bones via the tendon; however, following the model of biotensegrity, it is more accurate to say that skeletal structures float within a three-dimensional matrix of muscle and connective tissue (Myers, 2011, 2009). Fascia is a living tissue that maintains a constant balance between synthesis of new cells and remodeling of existing cells in response to external and internal forces. The primary regulators of tensegrity—tension and compression—influence a cell’s biochemical response to stress; the biotensegrity model of human anatomy has been shown to both qualitatively and quantitatively predict mechanical behaviors of human cells (Ingber, 2004, 2003). “There is a continual feedback between cellular sensing of force, rigidity or form and the cell contractility that, together with biochemical signals, co-regulates cell and tissue shape and, ultimately, the shape of the organism” (Vogel, 2006). How forces affect tissue change on both the macro and micro scales is important, because when a personal trainer or group fitness instructor delivers a workout to a client or participant he or she is applying external forces to clients’ bodies. Biotensegrity explains how mechanical behaviors can emerge through multi-component interactions, which make the whole much greater than the sum of its parts (Ingber, 2003). If the system is not properly balanced, then forces such as compression, tension, torsion or shear can change the architecture of cellular structures and the overall function of the body. The key message for fitness professionals is that continued stresses from repetitive movement patterns, movements performed with poor technique, or a lack of multiplanar movement in general affects the body on many different levels and can have a significant impact on the results a client experiences from an exercise program. Diet and lifestyle affect the hydration and, ultimately, the elasticity of muscle and connective tissue. The myofascial network is designed to be moved in all directions at a variety of different velocities. At the macro level, a lack of multiplanar movement and proper hydration can cause layers of fascia to bind and change a body’s ability to move efficiently. On the cellular level, force regulation can change the physical properties and biochemical function of a cell (Schleip et al., 2012; Vogel, 2006; Ingber, 2004). It is interesting to note that a wide range of diseases share on common feature: Their etiology and clinical presentation result from abnormal cellular responses to mechanical stress (Inger, 2004). A well-known fitness educator who advocates muscle-isolation training has been known to say that knee extensions do not cause cancer. The point of this discussion is not to suggest that the use of machines or muscle-isolation exercises will cause a deadly disease—but it is important for fitness professionals to understand that the exercises performed by their clients affect ALL tissues in the body from the cellular level on up. Exercise is a function of movement. Movement is a function of numerous muscles working together to propel joints through their structural range of motion. Designing an exercise program based on body-part isolation does not take advantage of the mechanical forces produced when numerous muscles and fascial structures work together in synergy. If you have only a limited amount of time to engage your clients in activity, then it is important that the client perform multiplanar, multidirectional movements that include both slow and fast-paced tempos to ensure adequate stimulation of all layers of the myofascial network. Part 2 of this article series will address how to use the ACE Integrated Fitness Training® (ACE IFT®) Model to design movement-based programs that address all layers of a client’s myofascial network, and that help personal trainers improve the lives of their clients from the cellular level on up. Galli, C. et al. (2005) Life on the wire: On tensegrity and force balance in cells. Acta BioMed,76, 512. Ingber, D.E. (2004). The mechanochemical basis of cell and tissue regulation. Mechanics & Chemistry of Biosystems: MCB, 1, 1, 53–68. Ingber, D.E. (2003). Tensegrity II: How structural networks influence cellular information processing networks. Journal of Cell Science, 116, 1397–1408. Langevin, H. (2006). Connective tissue: A body-wide signaling network? Medical Hypotheses, 66, 1074–1077. Myers, T. (2011). Fascial fitness: Training in the neuro-myofascial web. IDEA Fitness Journal, 38–45. Neumann, D. (2010). Kinesiology of the Musculoskeletal System (2nd ed.). St. Louis: Mosby. Oschman, J. (2009). Charge transfer in the living matrix. Journal of Bodywork and Movement Therapies,13, 215–228. Schleip, R. (2003). Fascial plasticity: A new neurobiological explanation (Part I). Journal of Bodywork and Movement Therapies, 7, 1, 11–19. Schleip, R. (2003). Fascial plasticity: A new neurobiological explanation (Part II). Journal of Bodywork and Movement Therapies, 7, 2, 104–116. Schultz, R.L. and Feitis, R. (1996). The Endless Web: Fascial Anatomy and Physical Reality. Berkeley, Calif.: North Atlantic Books. Vogel, V. and Sheetz, M. (2006). Local force and geometry sensing regulate cell functions. Nature Reviews: Molecular Cell Biology, 7, 265–275.